Bulleh Shah (1680–1757) was a mystic poet, a humanist and philosopher from Punjab. His poetry style is called the Kafi, a style of Punjab, Sindhi and Siraiki poetry used by the Sufis of Sindh and Punjab and also by Sikh gurus. Bulleh Shah’s poetry and philosophy strongly criticizes religious orthodoxy of his day. Bulleh Shah's time was marked with communal strife between Muslims and Sikhs. 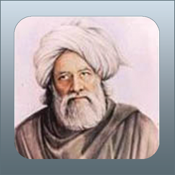 Baba Bulleh Shah denounced the religious extremism and was a beacon of hope and peace for the citizens of Punjab. The nature of Bulleh Shah's realization had such a profound ego-lessness and non-concern for social convention that it has been the source of many popular comical stories. His tomb in the Qasur region of Pakistan is greatly revered today.